You’re invited! 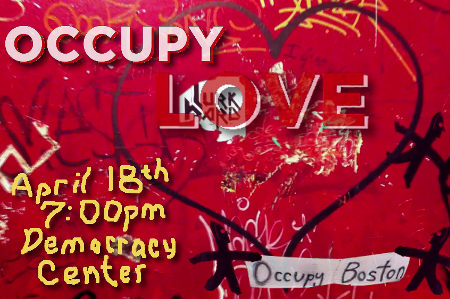 Occupy Love film screening, Thursday, 4/18/13, at the Democracy Center, 45 Mt. Auburn St., Cambridge, 7 pm.